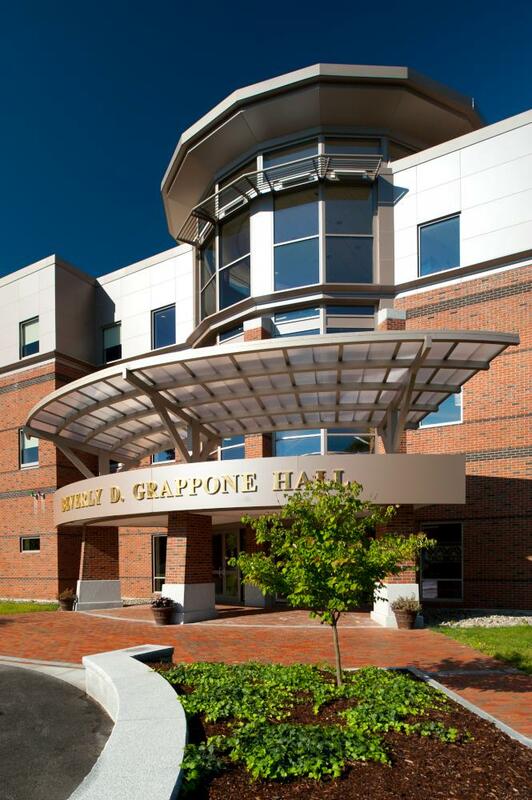 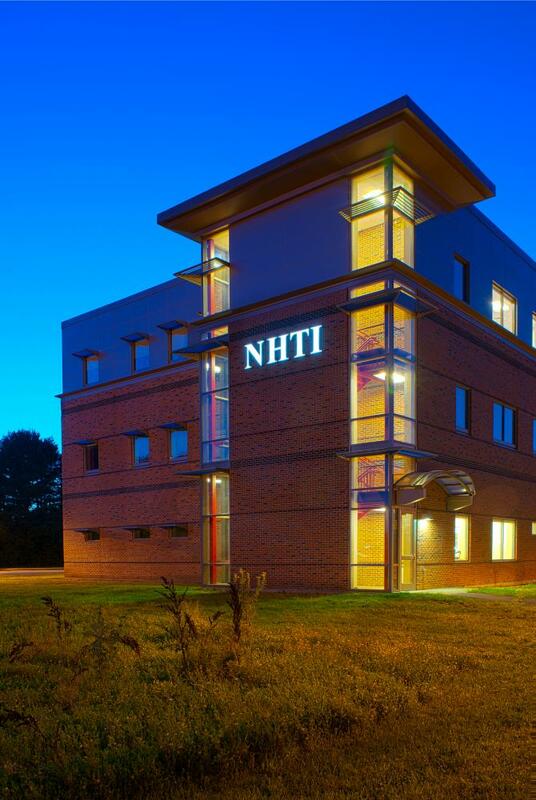 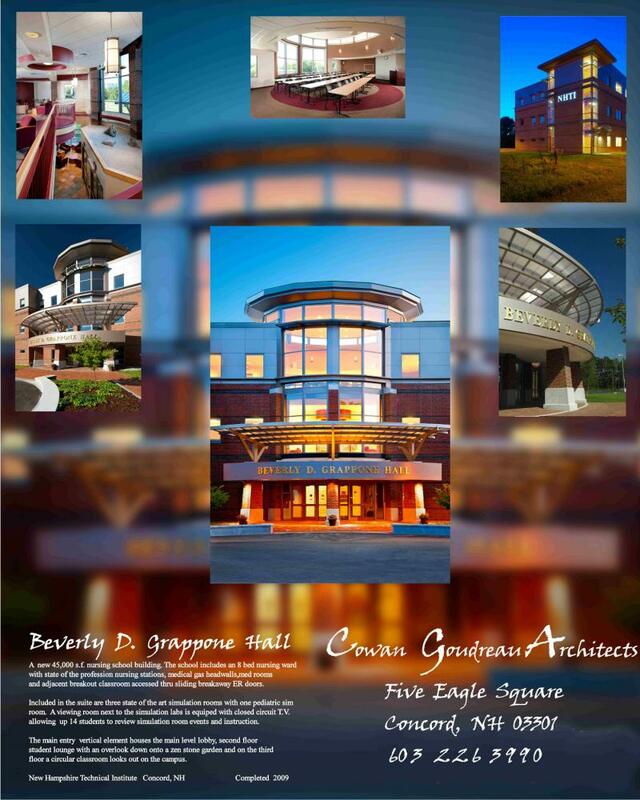 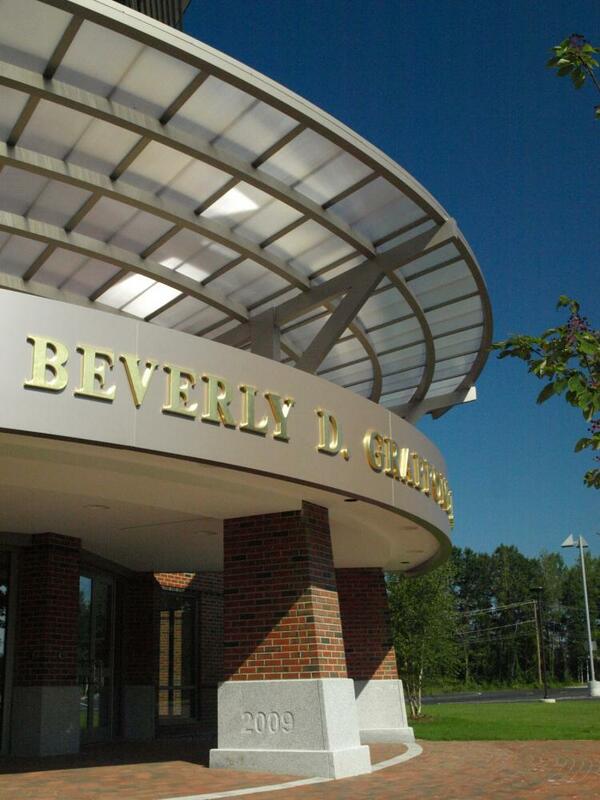 The Beverly D. Grappone Hall is a 34,000 ft.², state-of-the-art nursing school on the campus of NHTI. 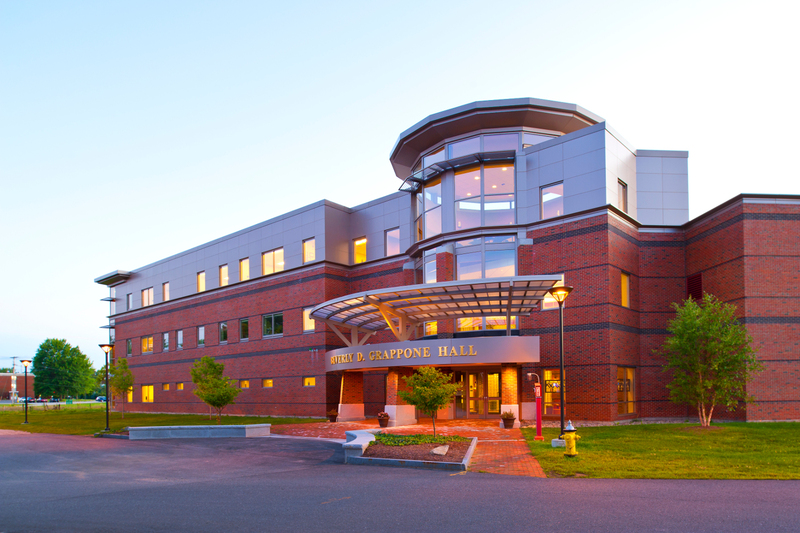 The school serves as a nursing education center with a clinical resource center that is modeled after the hospital environment. 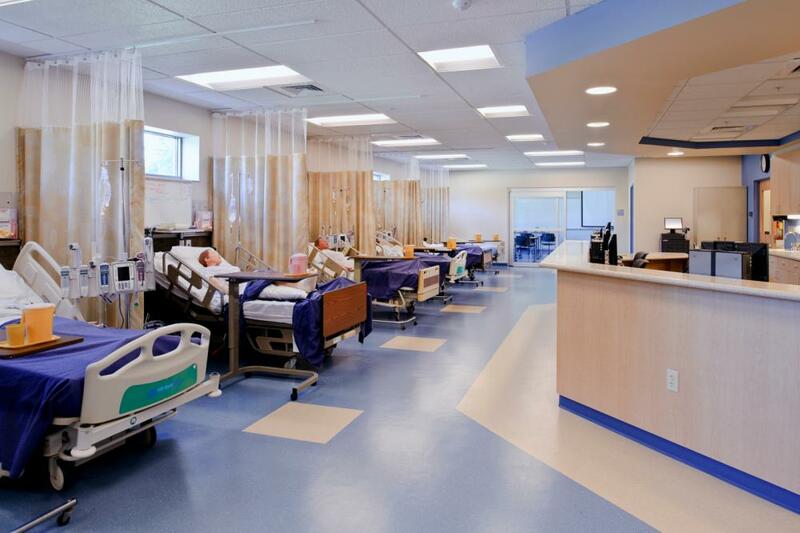 It includes an eight bed nursing ward with state-of-the-art simulated nurse stations, medical gas headwalls, medicine rooms, and adjacent breakout classrooms with access to sliding breakaway ER doors. 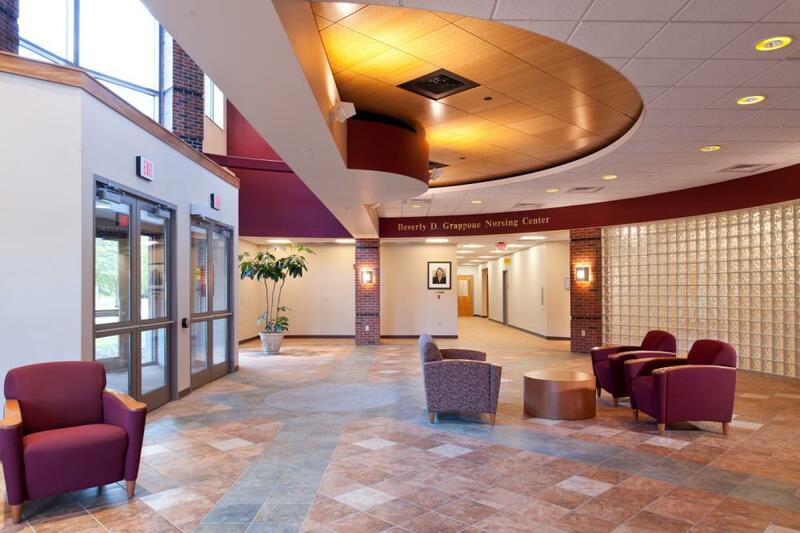 In the nursing wing there are three state-of-the-art simulation rooms complete with automated patient care manikins and two-way closed-circuit video. 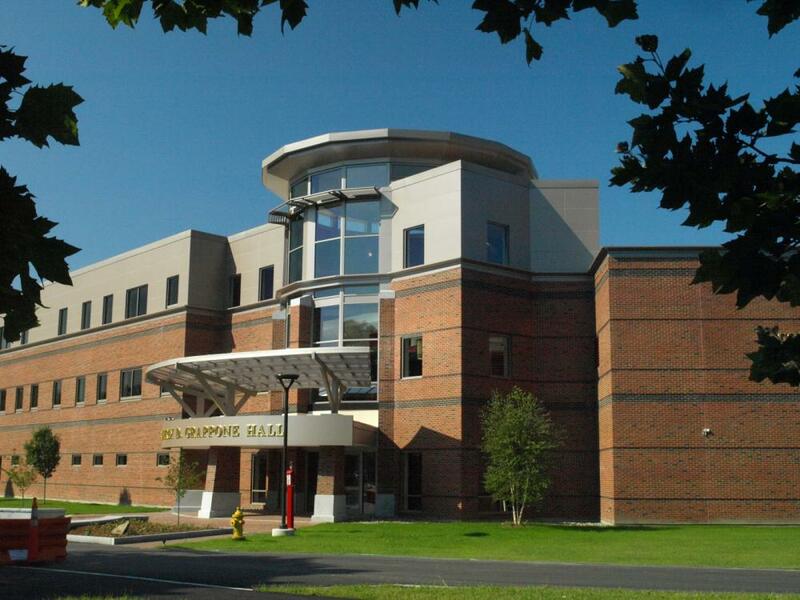 One simulation room is dedicated to pediatric care. 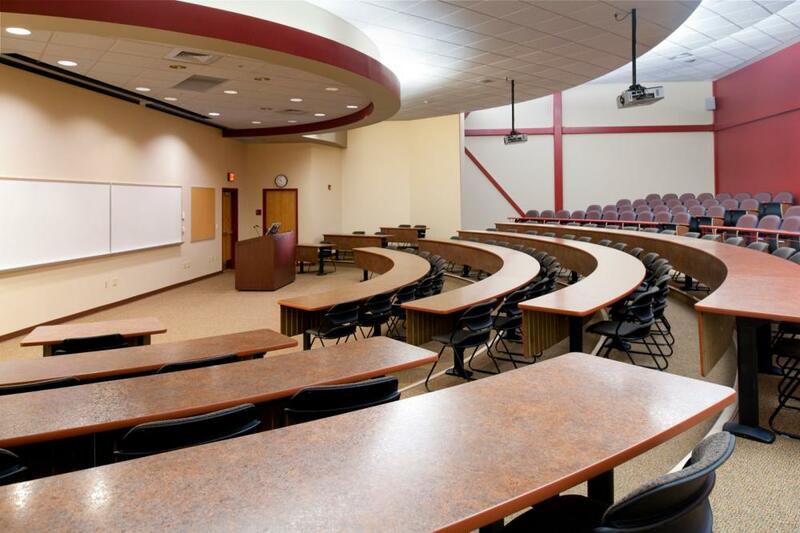 Included on the first floor is a tiered 179 seat lecture hall with multiple wheelchair accessible levels. 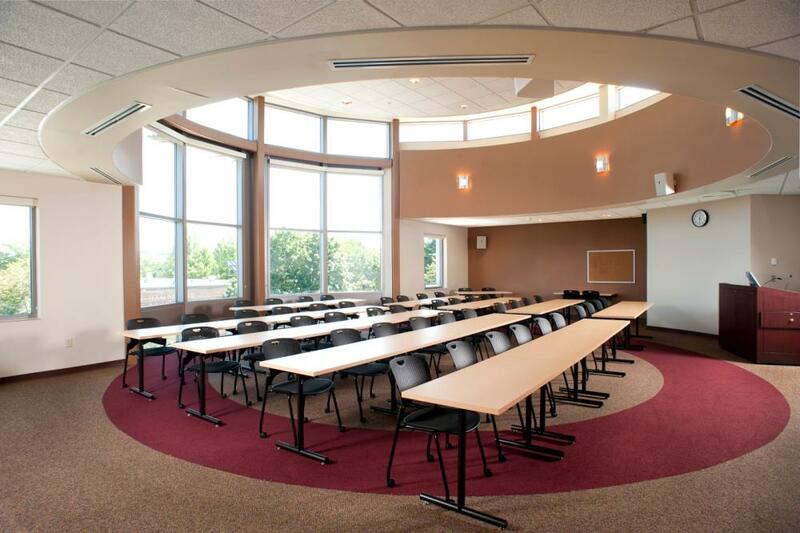 Upper floors include faculty offices, academic classrooms and a student lounge. 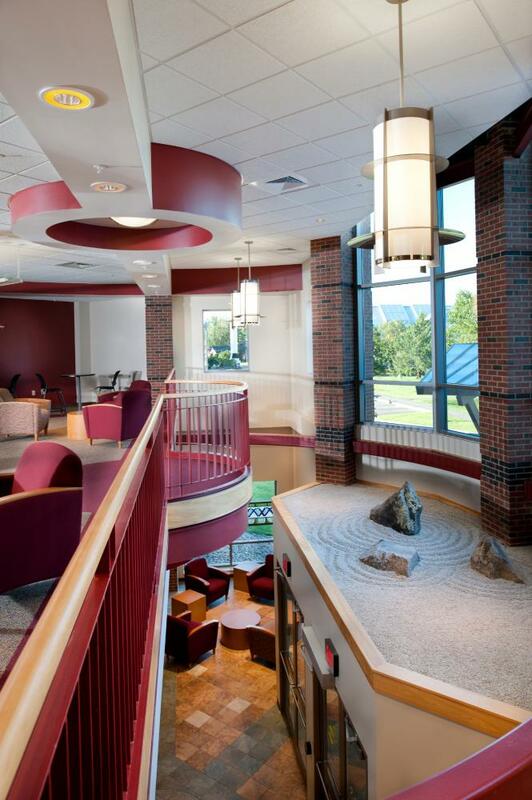 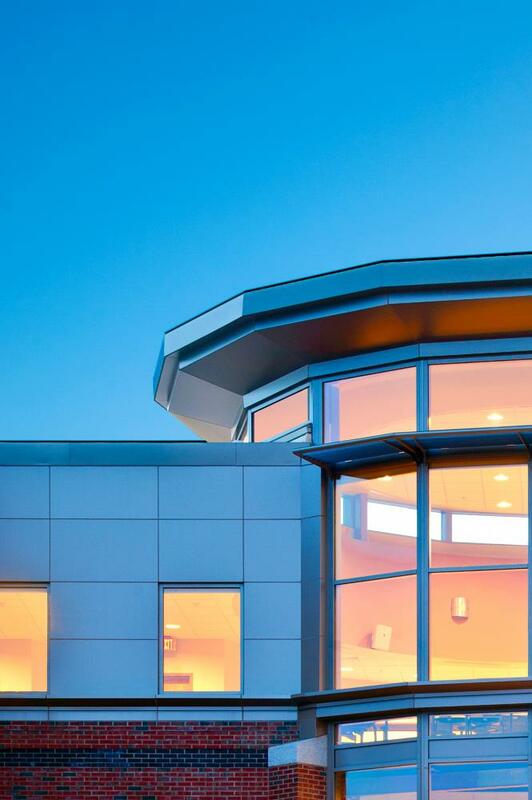 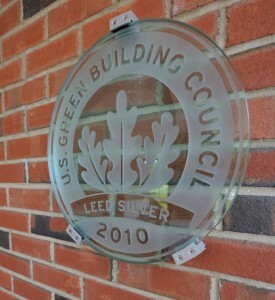 The design was awarded a LEED silver certification and features a distinctively designed curved front entry canopy and interior Zen rock garden.